In September 2005, Greenpeace International with the World Wildlife Fund, published a document entitled “Present for Life: Hazardous Chemicals in Umbilical Cord Blood.” The research was a real eye-opener as it showed convincingly that newborns tested for hundreds of different xenobiotics showed high numbers and levels of these toxins. Specifically, the blood tests showed that these newborns had an average of 287 toxins in their bodies, 180 of these are known carcinogens. Some of these chemicals included the commonly used artificial musk HHCB, which was found in almost all blood samples and at higher levels than the other artificial musks. Musk ambrette, a chemical banned for use in cosmetics in the EU since 1995, was still found in 15 maternal and 12 cord blood samples. Other banned alkylphenol compounds (nonylphenol) extensively used in industrial cleaning agents were also found. This study also quantifies the antibacterial agent triclosan in human blood; this chemical was found in almost 50% of the samples. DDT, the notorious pesticide that is banned for agricultural use worldwide but which is still used in some places to control malaria, was still found in virtually all blood samples. Similarly, the organochlorine by-product and pesticide hexachlorobenzene – also subject to a global ban - was found in the samples. Perfluorinated compounds like PFOS and PFOA, used to make non-stick pans and water repelling coatings, were present in all but one maternal blood sample. PFOS was detected in all cord blood samples and PFOA in half of them. The main conclusion is that if these chemicals are present in newborns, then what is the probability that these toxic chemicals are also present in us adults and our children? 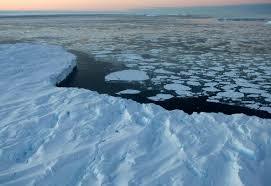 Before we leave the Arctic Circle, there is another interesting study entitled, “Human health implications of environmental contaminants in Arctic Canada: a review” published in The Science of the Total Environment which has looked at the how the Inuit Eskimos are being exposed to chemicals such as chlordane, toxaphene pesticides as well as PCBs. Another fascinating study conducted by the World Wildlife Fund set out to explore whether there was any relationship between the types and levels of contamination found in three generations of families, and to examine possible links between contamination and a family’s lifestyle, consumption patterns and everyday products. The report entitled, “Contamination: The Next Generation” summarises the findings of the analysis of 104 different chemicals in the blood of 33 volunteers from seven families living in England, Scotland and Wales. The volunteers in each family spanned three generations, generally comprising the grandmother, mother and two children. The volunteers comprised 14 children, 13 adults and six grandmothers. The ages of the volunteers ranged from nine years to 88 years. All three generations tested, including the children, were contaminated by a cocktail of hazardous man-made chemicals. The results reveal that every child, from as young as nine years (none younger were tested), was contaminated by the same range of hazardous chemicals: organochlorine pesticides, PCBs, brominated flame-retardants, phthalates and perfluorinated (“non-stick”) chemicals. 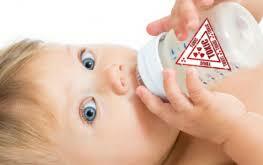 Five chemicals found in each parent and grandparent were also found in every child. While it might be expected that the chemical burden increases with age, this study has shown that this conventional assumption is not always true: children can be more contaminated by higher numbers and levels of certain “newer” chemicals than their parents or even their grandparents, despite being exposed to these chemicals for only a fraction of the time. These “newer” chemicals include brominated flame retardants (used in sofas, textiles and electrical appliances) and perfluorinated chemicals (used in the manufacture of non-stick pans, coatings for takeaway food packaging and treatments for carpets, furniture, clothing and footwear). The results also show that chemicals in everyday products around the home are contaminating the blood of all the families tested in the survey, including the children. For example, fifty seven per cent of the seven people found to be contaminated by deca-BDE, a brominated flame retardant, were children. Of the volunteers tested, 82 per cent were contaminated by one or more perfluorinated chemical. The perfluorinated chemical PFOA (perfluorooctanoic acid) was found in more than a third of the children tested. A related chemical PFOS (perfluorooctane sulphonate) was found in five of the family members tested. 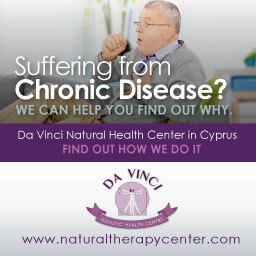 There have been similar studies in the USA too - in July 2005, the Department of Health and Human Services, Centres for Disease Control and Prevention, USA, published a 475-page document entitled, “Third National Report on Human Exposure to Environmental Chemicals” which clearly indicates the growing number of chemical toxins present in all age-groups in the USA. The American Council on Science and Health published a document in May 2003 entitled, “Traces of Environmental Chemicals in the Human Body: Are They a Risk to Health?” This research looked at the different types of xenobiotics found in US citizens, as well as their quantity. 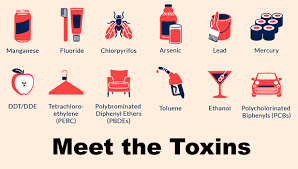 While chemicals that have been banned for many years are still being detected, generally there is a downward trend, with up to 90% reduction in the last few decades of toxins such as DDT and lead. Toxicologists studying chemical toxicity usually have a reference range of values which indicate the “safe levels” of these chemicals. New research is showing, however, that even low-dose exposure is accumulative over time and can lead to children having decreased performance in areas of motor function and memory. Similarly, disruption of attention, fine motor function and verbal memory was also found in adults on exposure to low mercury levels. 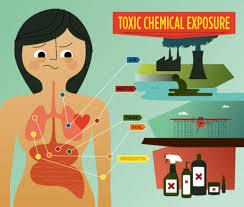 WHERE DO THE TOXINS COME FROM? There are many sources and it is a sign of our times - living in a highly industrialised world. Principally, the toxins enter our bodies through the food we eat, particularly fish, the water we drink, the air we breathe and our soils. A study done in Canada compared heavy metal intakes in different age groups and their corresponding intake guidelines. It is clear from the report entitled, “Metallic Lunch: An Analysis of Heavy Metals in the Canadian Diet” published by Environmental Defence Canada, that Canadians are being subjected to unhealthy levels of these toxic substances. Cadmium, which can cause kidney disease and cancer, is being eaten by Canadians of all ages above intake guidelines. Lead, which can cause negative health effects no matter how little is consumed, is in the diets of Canadians of all ages. Children are being exposed to potentially unsafe levels of copper, manganese, molybdenum, nickel, and zinc. A recent report that tested mercury levels in Sushi in New York restaurants found levels that far exceeded the acceptable levels in fish. A lot of the questions regarding risk assessment when eating fish, is addressed in an interesting paper entitled "Risks and Benefits of Fish Consumption: Yes, Mercury is a Problem." Another interesting report by World Wildlife Fund – UK (2005), entitled “Still Dirty:A Review of Action Against Toxic Products in Europe” highlights the occurrence of hazardous chemicals in everyday products and reports on which EU member states have taken proactive measures to help protect their citizens and wildlife. The report mentions that Phthalates used in plastics and cosmetics have been linked to reduced sperm counts. LAS, a major washing powder ingredient, is poorly broken down in rivers and soils, and may be toxic to soil organisms. Lead is still in use and is particularly toxic to children and wildlife. The International Academy of Oral Medicine and Toxicology has produced a very interesting videodescribing the amount of mercury that is released from amalgam fillings, even though they may be over 30 years old. Chewing gum, drinking hot drinks and brushing teeth can increase the amount of methyl mercury released from amalgam fillings. If you ever have doubts about how lethal mercury is for the nervous system, and particularly the brain, you have to see the video produced by the University of Calgary, Faculty of Medicine, Department of Physiology and Biophysics – it clearly shows how mercury completely degenerates neural fibres in a petri dish in zero time – it’s a fascinating video to watch! The drugs used in vaccines and inoculations have for many years used Thimerosal as a preservative. 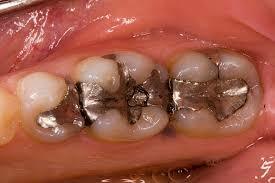 This contains around 50% mercury and is very highly toxic, often being linked to the huge increase in autism cases. There is an interesting article published in Medical hypotheses entitled, “Autism: a Novel Form of Mercury Poisoning” showing how exposure to mercury can cause immune, sensory, neurological, motor, and behavioural dysfunctions similar to traits defining or associated with autism; and the similarities extend to neuroanatomy, neurotransmitters, and biochemistry. By the age of 10, a child may be many hundreds of times over what is considered a “safe” dose of mercury poisoning from his injections. 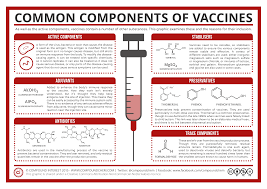 Although Thimerosal has been phased out of many preparations, the effect – because it is cumulative and stays in the body – is with almost all adults today. Service personnel who are subjected to many different injections for their tours of duty are particularly at risk from toxic poisoning. Some fish is contaminated with mercury and other toxic substances. Even polar bears living in the Arctic, thousands of miles from any industry, have been found in very poor health and dying because of toxic poisoning. None of us are free of the risk. 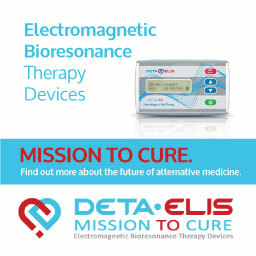 The medical profession uses chemical drugs like EDTA, DMSA, DMPS and others to ‘chelate’ the body of toxic heavy metals. These need medical supervision and are expensive. 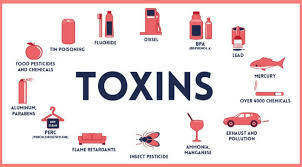 They also have side effects because they are drastic measures and toxicologists recommend these for acute poisonings where it is important to eliminate the toxins quickly. 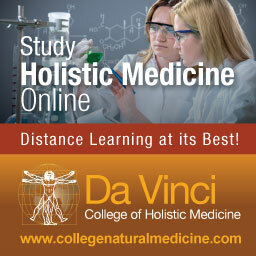 There are several natural products on the market. Most have NO research to back up their claims, or are based on anecdotal evidence or simply very poor methodology. Some chelate one or two toxic metals, but not others. 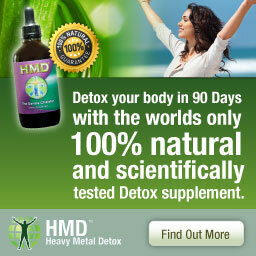 Many of the products whose literature purports to chelate heavy metals, have actually been tested by Dr. Georgiou, the inventor and worldwide IP Rights owner of HMD™ - these have been published in scientific papers - see below. Do Natural Heavy Metal Chelators Work? 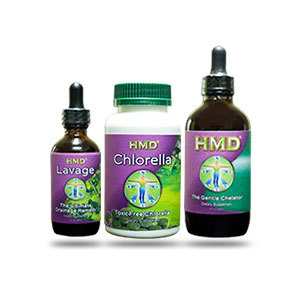 At the Da Vinci Holistic Health Centre we base our chelation protocols on this cutting-edge research and use a combination of the HMD™, Organic Lavage and Chlorella. In addition to detoxifying heavy metals using natural protocols, we also have many other detoxification protocols such as the Alkaline Detox, Liver and Gallbladder Detox, Parasite Detox and many other detox protocols - this is one of the major aspects of what we specialise in! 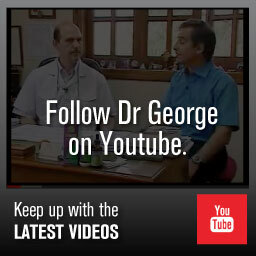 Dr. Georgiou, a naturopath, author and researcher is the inventor and IP Rights holder of HMD™ and its protocols. 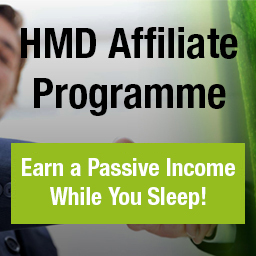 Watch the videos on HMD™ below.